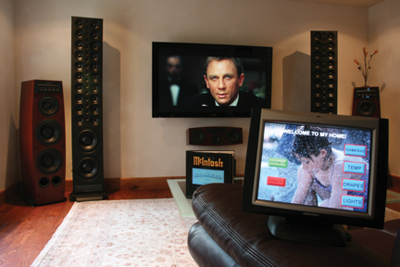 Audio Innovations: Meeting the challenges of the smarthome. 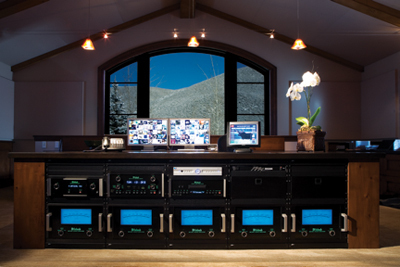 Creating systems where the finest and most advanced audio, home theater, lighting, and control products can serve the user with simplicity and ease. Audio Innovations designs and creates intuitive, functional and powerful systems with straightforward intelligent operation that places clients at ease with ever changing and evolving technology. And what could be better for those of us who appreciate the improvements in sound and video quality, want energy-efficient and well-planned lighting, and don’t want to miss a moment of excitement in the home theater? While most of us like to stay on top of exciting new technology and enjoy the potential of the newest gear, we just don’t have the expertise to recognize the advances of components that would best do the job and to know how to integrate them into a user-friendly system. If you don’t want a basketful of remote controls that you, your family and your guests don’t know how to use, it may be time to become acquainted with Jess Goitiandia, owner of Audio Innovations and companion business, TJ’s Electric. Jess Goitiandia is an expert in complex circuitry and robotics—the kind of guy who probably loved his honors physics lab, but didn’t find it sufficiently challenging. He decided to forgo the bright lights of the city and build a business at home doing what had always interested him, home electronics. For those who are also attached to the Wood River Valley, Jess’s choice to live in the area where he was raised and generations of his family live makes sense. He works in his combination showroom and workshop in Hailey with his wife, Terri, and an accomplished crew. The benefits Jess described for LED form a long list. Since LED is durable with a 30,000-hour longevity, it’s possible to not have to change bulbs for 30 years, which is a big advantage for high ceilings and other hard-to-reach fixtures. Unlike incandescent bulbs, they remain cool to the touch. They are safer than compact fluorescent bulbs that when shattered can disperse hazardous mercury and require special disposal at the end of life. Of course, LED lighting saves more energy than other alternatives. With one control, a click when you are away from home turns off the phantom load of appliances that require a constant electrical drain, like televisions. Place a home in vacation mode, and it shuts off energy in the periphery while keeping the kitchen lively, and also randomly turns on and off lights to mimic someone’s presence in the home. The same control activates the solar system after the snow melts, monitors the wind turbine, and turns down the hot water heater and furnace. This control system saves energy, time and worry. Home electronics is a thrilling frontier of innovations and advancements with no limits in sight. When you pose the question to Jess about what’s new, prepare for a fascinating conversation. 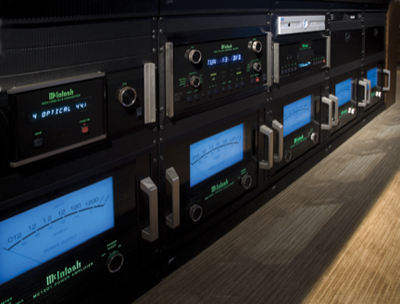 During a discussion about the fuller, richer sound available through analog, Jess added, “For audiophiles, McIntosh has a new digital-analog converter that has the most exact sound I’ve encountered.” These new advances join the familiar options with improved products for surround sound and a variety of choices for projection units or flat screens, including a model that is 103 inches across. 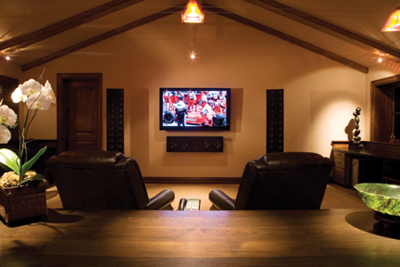 To sum up Audio Innovations, it’s a firm that works with anything electrical where craftsmanship and pride of ownership and installation matters. They design and engineer systems, install them, do the wiring themselves, and integrate the operations with a single controller that’s easy to use and reliable. They back up the products’ warranty, are available for service calls, and when you are ready to add another great piece of the latest equipment, Audio Innovations will be there to smoothly incorporate it into the system.